Hello, friends. I'm sharing more cake-y goodness today. Cake photos! WARNING: Some cakes are nice to look at, some cakes are less than perfect. It seems like every other cake has a problem. Now, let's get gawking! Everyone, jump in the time machine! Back to 2011. We'll start with Tinkerbell and her fairy friends. I ordered this from Safeway's bakery. They had an example cake (click this for reference photo) on display that was very cute. 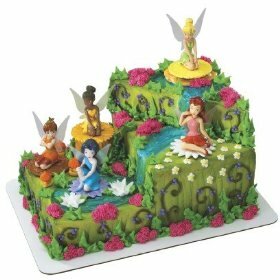 It was a rectangular cake with layers and the fairies sitting in different places, like along a waterfall and stream. The cake I took home was not layered and was nowhere as detailed as the example cake. No edge piping. Shortage of flowers and vines. Horrible cake writing. Shortage of talent on the decorator's part. Thanks Safeway. Total. Cake. Fail. 2012 was a bad year for birthday cakes. It was also the year my son wanted a very fancy shaped homemade Optimus Prime Transformer cake. I attempted it. I royally ruined it. I baked two cakes and they would not come out of the pan. 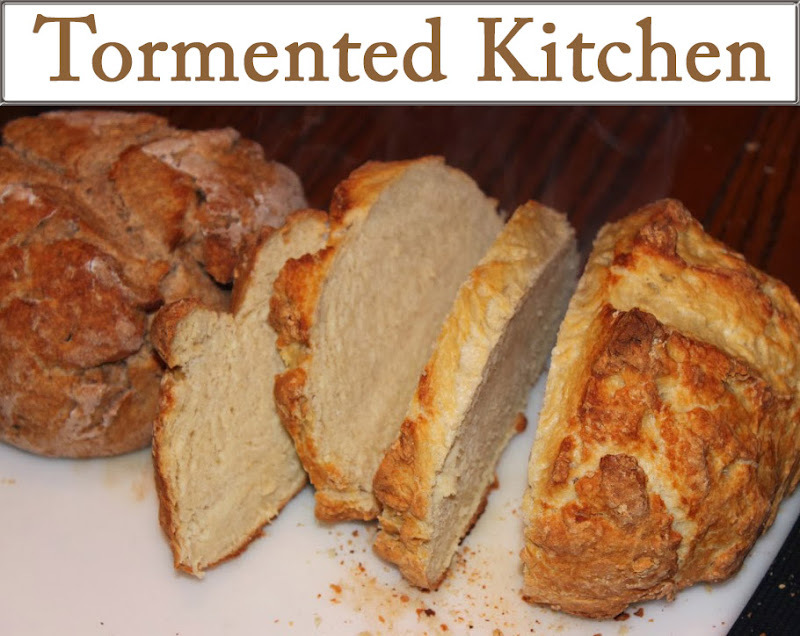 They crumbled and ripped in unnatural ways as I tried to tip them onto the cooling racks. Some cake flew onto the floor. It was horrible! In a panic, I phoned the husband to pick up a cake while at Costco. I told him the story of cake disaster and you know who overheard it all. He went to the bakery ladies and very matter-of-factly told them he needed a new birthday cake because Mom ruined the homemade one. This is what he bought home. 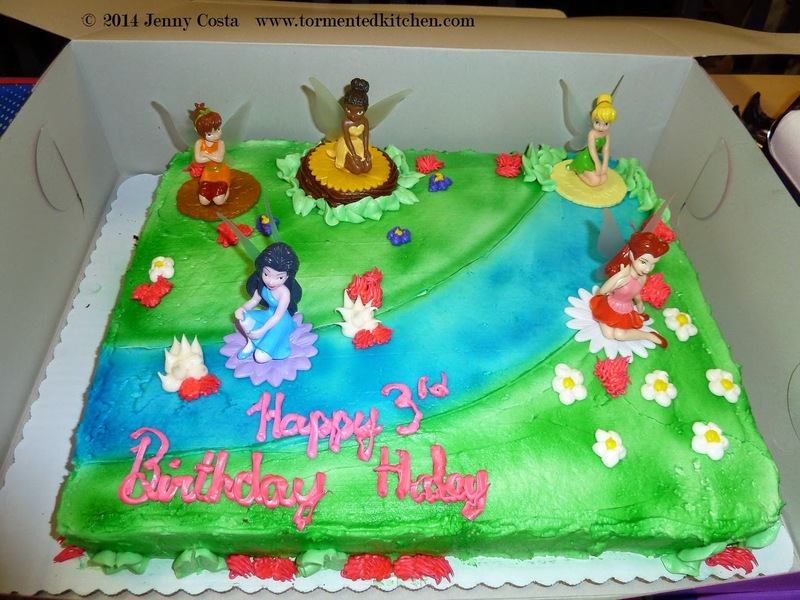 For her fourth birthday (still 2012), I figured the Safeway Tinkerbell cake was so bad, I'd be better off making homemade cake and doing it myself. I had a great idea, easy execution, just yellow cake, same as the Transformers Bumblebee Cake, tinted buttercream frosting, and some miniature dolls. The cake had a minor mishap. I decorated it and put it in the fridge until party time. I took it out shortly before the party and the cardboard base flexed. 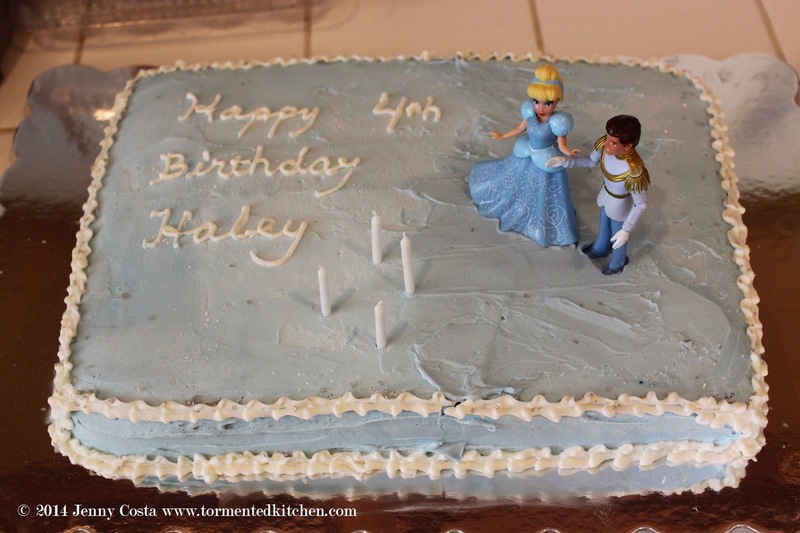 The center of the cake did not flex so well and the lovely Cinderella-blue base frosting cracked. I gave it some more blue frosting to smooth the obvious part, but couldn't do much about the white piped edge. It was very tasty, though. At least the cake didn't crumble like the Optimus Prime that didn't happen. Our next cake was ordered from one of the local Raley's grocery stores. 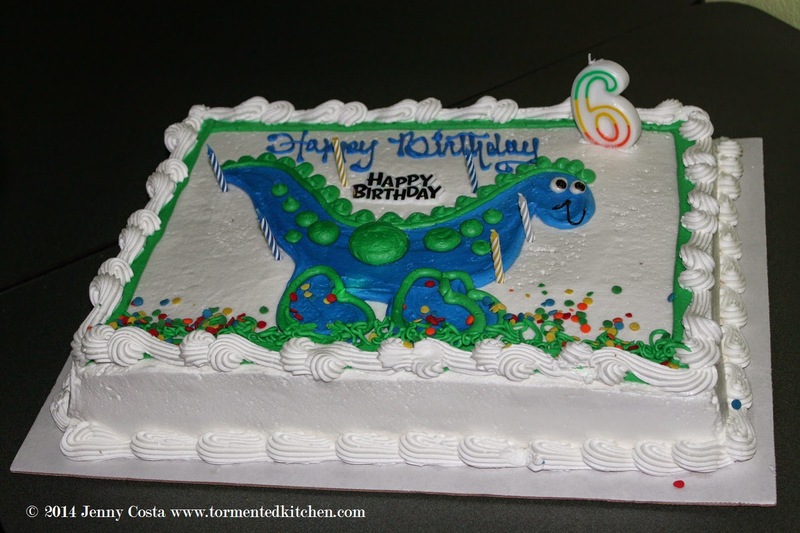 It was for my son's seventh birthday (2013). They had the Rango set in their catalog, so we picked it. We'd already looked through dorky themes and wanted to get something different. After all, two Transformer cakes had already happened and I wasn't about to get him a third after the broken cake incident! Considering that the "dirt" looked like smeared poo instead of sand, the little cactus frosting blobs were actually pretty cute. Last year (2013), my daughter was into Lalaloopsy dolls like crazy. No bakeries offered a decent Lalaloopsy cake, so I enhanced one. I picked up a cake from Costco that had the generic sunshine, rainbow, and Happy Birthday message. We were off to a great start! I added the number 5 candle, the two mini Lalaloopsy dolls, and a Lalaloopsy unicorn. This cake was a total hit! This photo is from my son's eighth birthday this year (2014). It was hectic, so I took my chances and bought a plain cake off the rack at Winco. Winco's cake are pretty decent taste-wise for a grocery store chain. It was far from perfect, I mean, look at the colors they used! (Green and yellow are associated with the Cheese-heads, this boy's second least favorite team.) 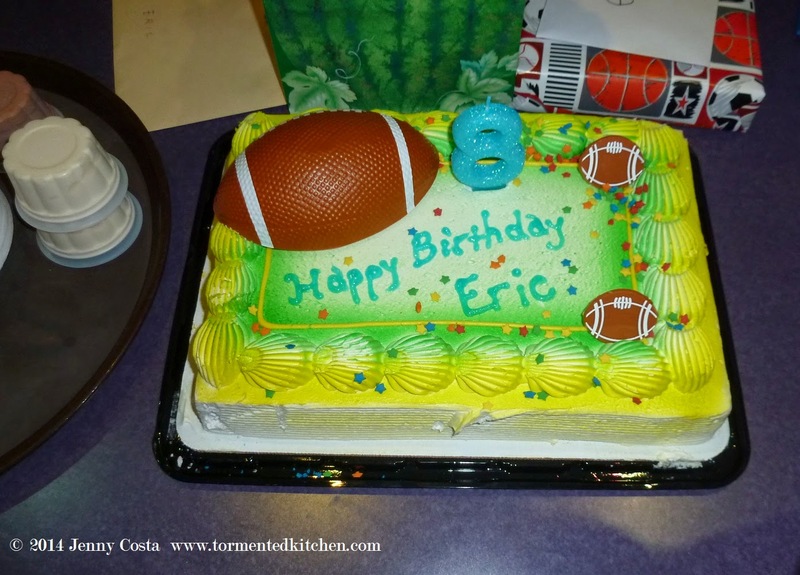 At least it was reasonable with the little plastic football decorations and it had plenty of room for me to add the Happy Birthday writing and number candle. 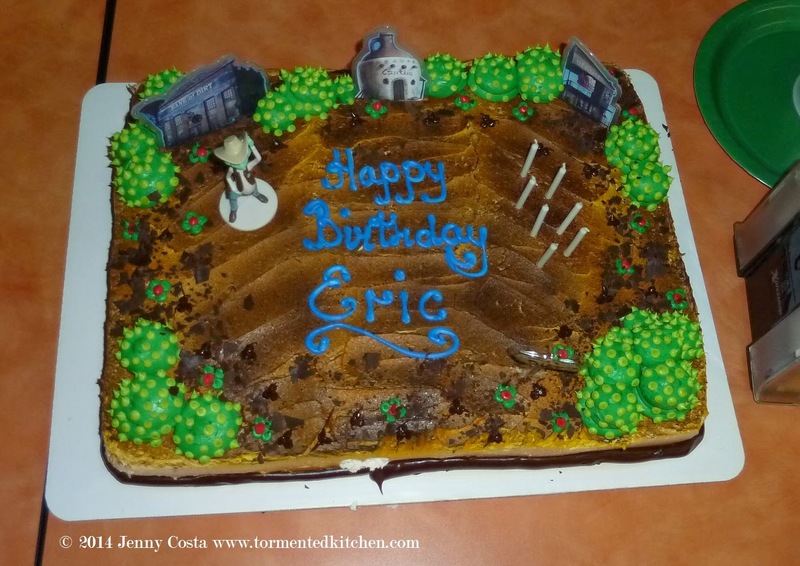 If you missed my other birthday cake posts, check these out.